Nothing says vacation like treating yourself. You deserve it. 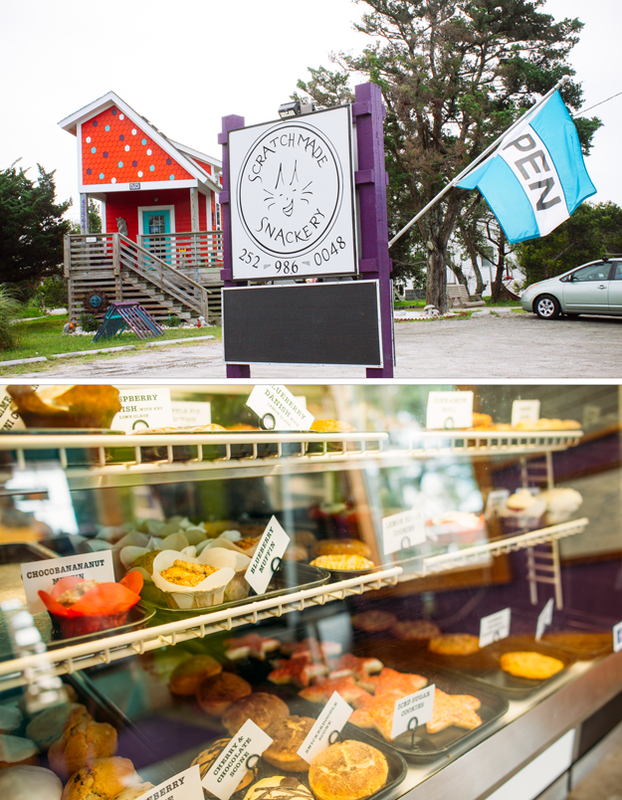 Lucky for you there are many delightful ways to satisfy your sweet tooth while vacationing on Hatteras Island – every day of the week! There’s nothing better after an afternoon spent playing on the beach than ice cream for the whole family. 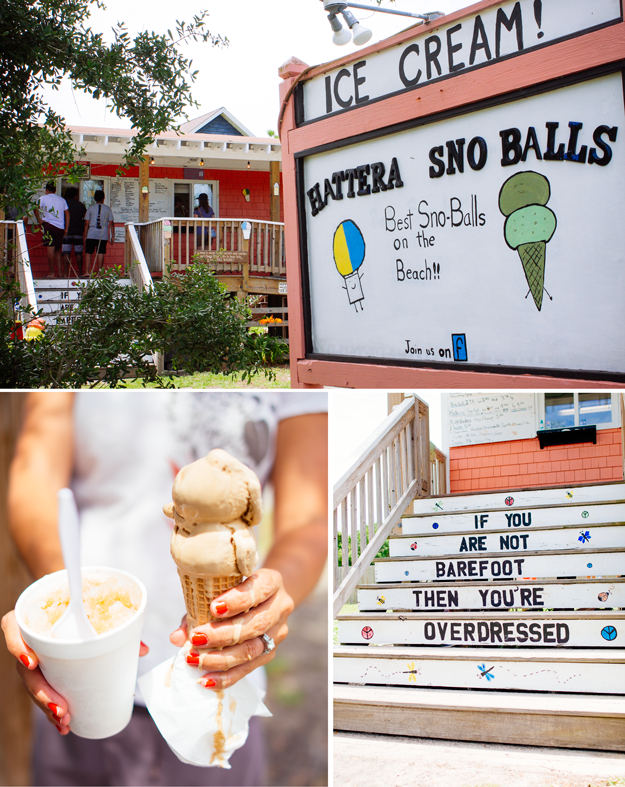 The quirky handmade signs and bright pink building make this ice cream and sno-ball stand an island favorite. Choose from 50 different flavors of shaved ice and twelve flavors of ice cream – or try the signature Hatteras sno-ball – ice cream AND shaved ice. Deliciously fresh breakfast pastries, baked goods and desserts to savor yourself or take home for everyone to enjoy. This cute quirky new bakery is run by wife and husband Chris Kellum and Kyle Butler who start work in the wee hours of morning (what some might still consider night) baking from scratch, scrumptious pastries, cakes, cookies cupcakes and more to share with patrons when their doors open bright and early at 5am. They supply some of your favorite restaurants with desserts and you can get them all right in Hatteras too – from 5am to noon 7 days a week in the summer. From fine chocolates to fun vintage selections – these candy shops will satisfy your cravings! 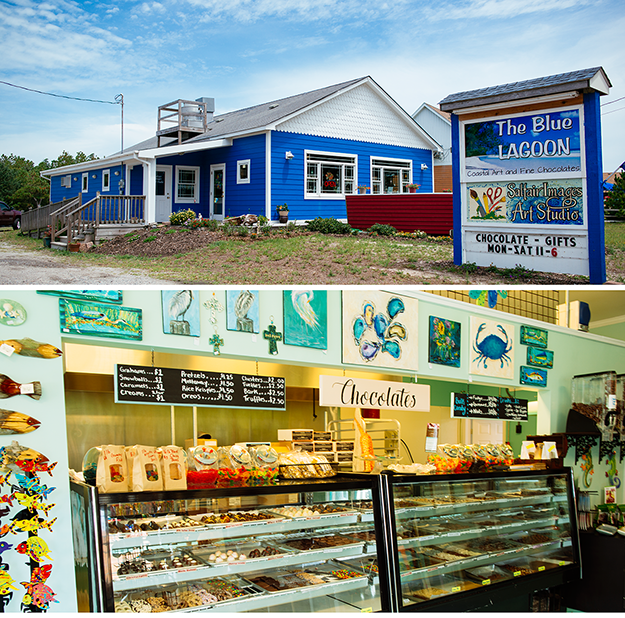 A brand new art gallery and chocolate shop in Frisco right next to the Frisco Sandwich shop, Gracie at the Blue Lagoon offers fine chocolates (truffles, chocolate covered graham crackers and more) and a beautiful curated selection of regional and coastal art. A great place to stop in for treats for the whole family and gifts for friends back home. Whatever your favorite desert may be we bet you’ll find a new favorite the next time you’re here on vacation. Treat yourself!